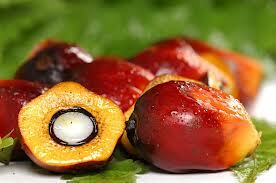 Palm oil is a vegetable oil made from the fruit of oil palms. It’s grown and harvested in tropical regions like Malaysia, Nigeria, Indonesia, and Colombia. Palm oil is incredibly popular with manufacturers because it’s so cheap; more than 50% of all foods in the grocery store (and in restaurants) contain palm oil. You find it in things you likely buy every day: Oreos, Ritz crackers, Chef Boy R Dee, Heinz ketchup and mustard…the list of food and products (including personal care items) would span hundreds of pages. If it comes in a box or bag, there’s a good chance that it contains palm oil. This isn’t a post about palm oil specifically (which is actually quite unhealthy for you.) Rather, it’s a post about how palm oil is farmed. The problem is that because worldwide demand for this crop keeps rising, countries are using child labor to harvest the palm and keep costs down. What is happening in a country like Malaysia is that migrant farmers are coming into the country to work on the every-expanding palm farms. And, they bring their families with them. The problem is that these migrant workers don’t have papers, which means their children can’t attend school. So, they end up working these palm farms too, earning $7 per day or less. They’re working harder than any child should ever have to work, and they’re not getting the education they deserve. As a result, an entire generation of these kids are growing up completely uneducated. The good news is that there are some schools being established for these children, mainly through the non-profit Humana. And, some of the palm oil plantations have donated money to erect schools for these children, and buy books and uniforms so they can get an education while their parents work. However, there are still many kids who don’t have access to these schools, especially on the remote farms. So, they work day after day, and have little chance of bettering their situation as they get older. The PBS story was a real eye opener, and I highly urge you to watch it (which you can do here.) It will surely make you think twice before buying many of the products that contain this ingredient, because there’s a chance that a child that harvested the palms you’re about to eat. Cutting palm oil out of your diet will not only be more ethical, it will also improve your health and the quality of the foods you buy.